This striking sterling silver plaque is surrounded by crystals and is heirloom quality. 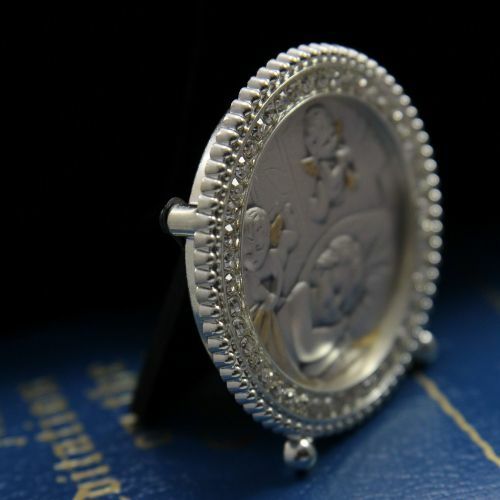 The sterling silver image of angels tucking in a precious baby make this the perfect baptismal gift! Limited quantity! This item has been discontinued and will not be re-stocked. Once they're gone, they're gone!